PicoSure is the world’s first and best picosecond aesthetic laser. This unparalleled breakthrough in laser technology delivers ultra-short pulse bursts of energy to the skin in trillionths of a second. Picosecond pulse width is 100 times shorter than nanosecond technology (q-switch lasers), enabling unmatched photomechanical impact for better clearance with fewer treatments and less fluence. PicoSure’s ultra-short pulse duration goes beyond photothermal action, creating an intense photomechanical impact, patented PressureWave™, and resulting in greater disruption of the target for better clearance with fewer treatments, less fluence and without injury to the surrounding skin. 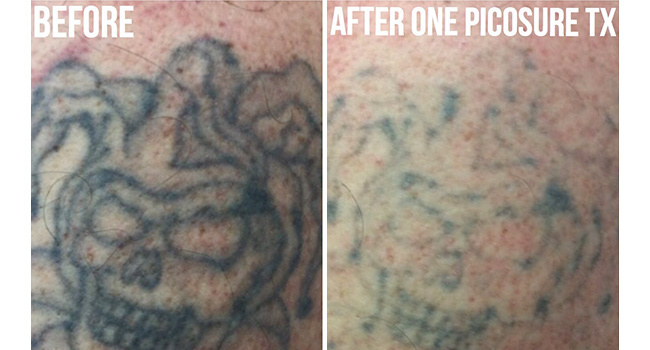 Picosecond technology is a breakthrough in tattoo and skin spot removal treatments. 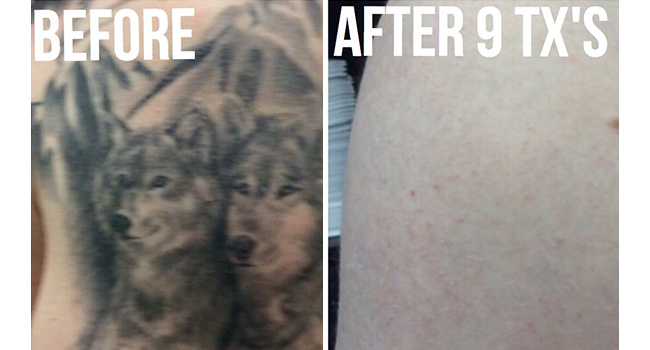 You can now experience the safest and best tattoo and pigment removal laser available today! Download pre and post treatment instructions for PicoSure tattoo removal: here.